Kotaku reports that developers were notified by Sony that it “plan to end all Vita GameCard production by close of fiscal year 2018.” The message asks that all Vita product code requests be submitted by June 28, 2018, and that final purchase orders be entered by February 15, 2019. Sony’s 2018 fiscal year will end on March 31, 2019. 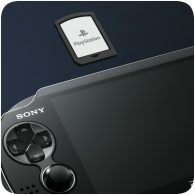 In an email to Kotaku, a Sony spokesperson confirmed that Vita card production is coming to an end. This marks another nail in the coffin for the PS Vita as Sony eventually starts shutting things down one by one.